Brand New High-End Luxury Villas in Sleepy Oaks! All the bells & whistles! 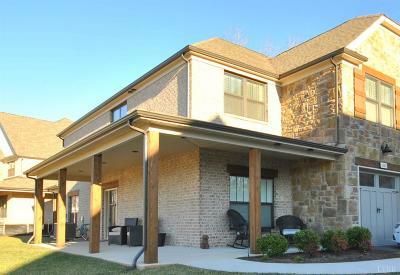 You will love these units with one-car garages, wrap around front porches & covered back patios. All brick, stone and board & batten (no vinyl)! Great open floor plan with great room w/ gas log fireplace opening to kitchen & dining room. Gorgeous kitchen with island, gas range with double ovens, marble backsplash & high end marble counter tops. Main level bedroom w/ full bath that could be used as main level master! Upstairs boasts 3rd & 4th bedroom (or office), laundry room, full bath and enormous 21x13 master suite with large walk-in closet and en suite with double vanities, all-tiled shower & separate water closet. Hardwoods throughout main level, upgraded lighting package & upgraded trim package throughout. You will love the convenient location of Sleepy Oaks with low Bedford County taxes and only minutes from shopping & restaurants! Under assessed value!